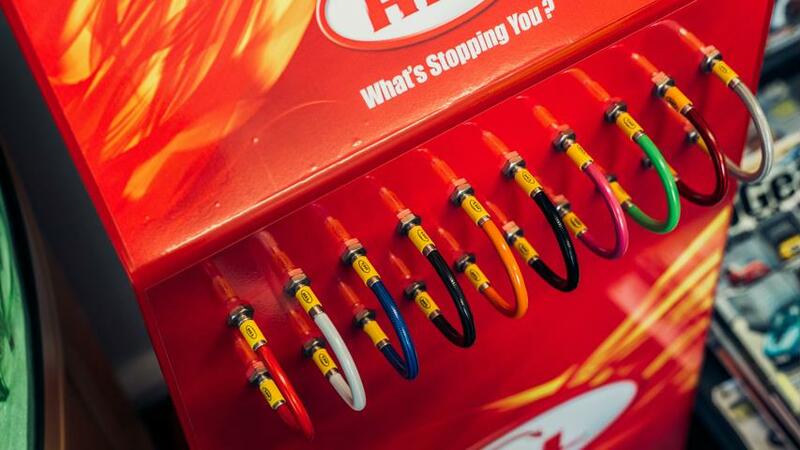 A popular upgrade for drivers who want to upgrade their brake systems maybe steel braided brake lines. 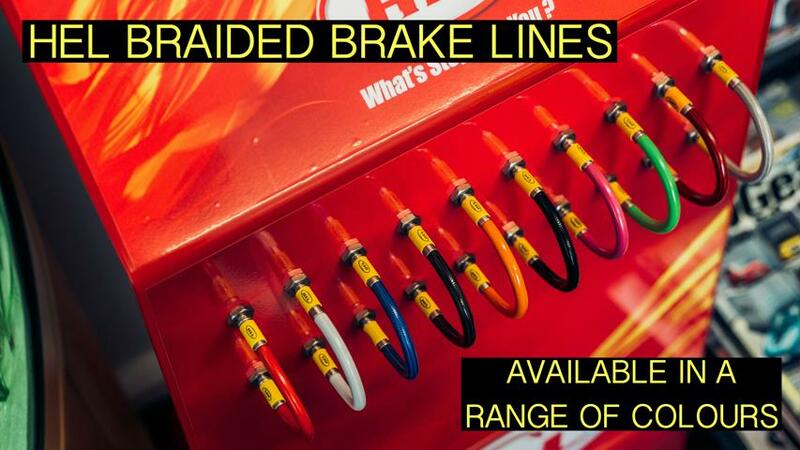 To make good decisions about whether to pursue this kind of brake work, it’s important to understand how braided brake lines differ from the standard factory brake lines in your car and how they work. 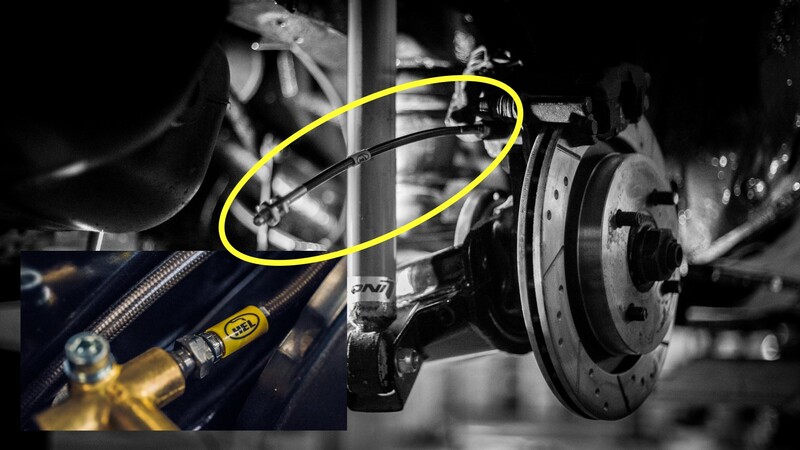 Brake lines are one of the most important parts of a brake system. Most vehicles use a hydraulic brake system. The brake lines of a vehicle have to carry that fluid from the master cylinder to the caliper, and they have to do it quickly! When your brake lines are not in good shape, braking power may be reduced, or the brakes may even fail in some situations. Lots of drivers of high performance vehicles like steel braided brake lines for a couple of reasons. Off-road drivers appreciate that it’s harder for stray objects to puncture the braided brake line designs. Another feature that is prized by all kinds of drivers is that braided brake lines are subject to less of a bulge when pressure is placed on them. In a braking situation, brake lines bulge under pressure. Less bulge is better than more, because it helps to retain the integrity of the line. That’s why some racing cars and other vehicles carry steel braided brake lines as opposed to standard lines. Why are flexible brake hoses used in the first place? 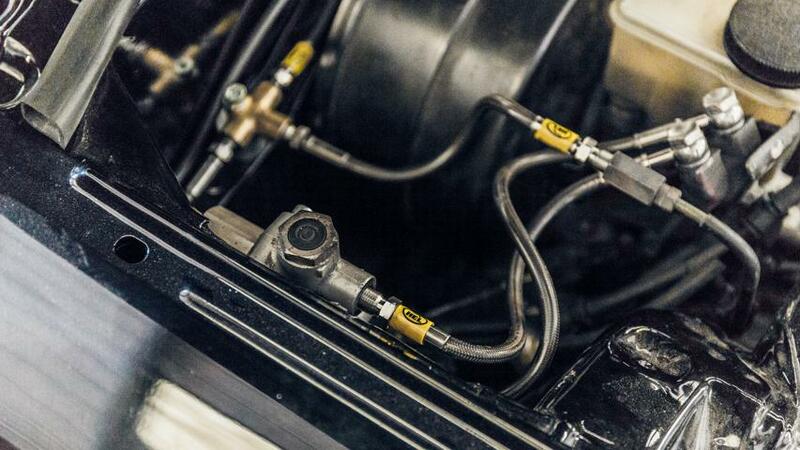 From the factory, nearly every production passenger car has short, flexible hoses that run from the fixed, hard metal brake tubes to the calipers (or wheel cylinders as the case may be). 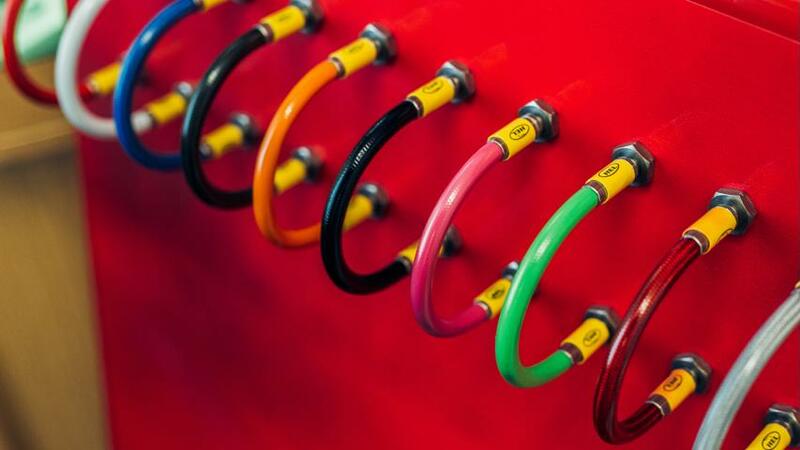 These flexible hoses are necessary because the wheel ends are free to move relative to the body of the vehicle. Inflexible tubes would not allow for the articulation of the wheel ends without subsequent failure. What are OEM hoses made from? 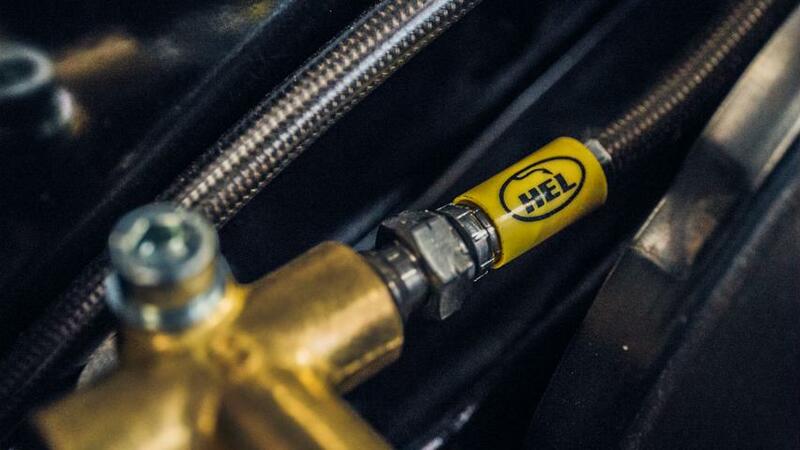 Typically, OEM hoses contain a compliant polymeric inner hose to transmit brake fluid pressure from the brake tubes to the caliper. While the polymeric tube itself does a good job of withstanding attack from the brake fluid, it must be protected from the outside world and is consequently wrapped (over-molded) with a thick, rubber coating. Hollow fasteners at one or both ends of the hose provide a direct flow path and a leak-free connection system. Stainless Steel lines (they are actually hoses, but we’ll use the common term “lines” from this point forward in this FAQ) are similar to OEM hoses in function, but differ greatly in execution. 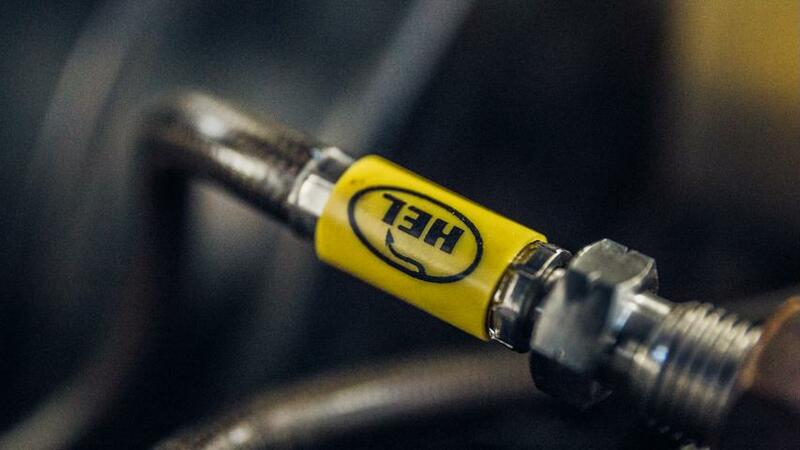 Unlike OEM hoses, SS lines incorporate a low-compliance Teflon inner hose. In addition, instead of covering the Teflon with over-molded rubber a woven braid of Stainless Steel strands is placed over the hose for protection. 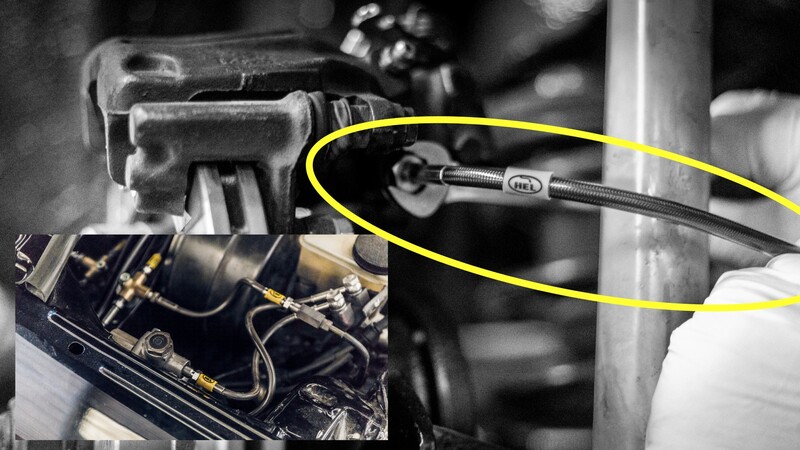 As with an OEM hose, the ends are terminated with hollow fasteners to allow for the leak-free passage of brake fluid. Stainless Steel lines provide a number of benefits as compared to their OEM rubber over molded counterparts. I understand the protection benefit, but can you explain the reduced expansion benefit? Any time that an object is subjected to internal pressure, it expands. The amount of expansion will be proportional to the amount of pressure present and the rigidity of the holding structure. 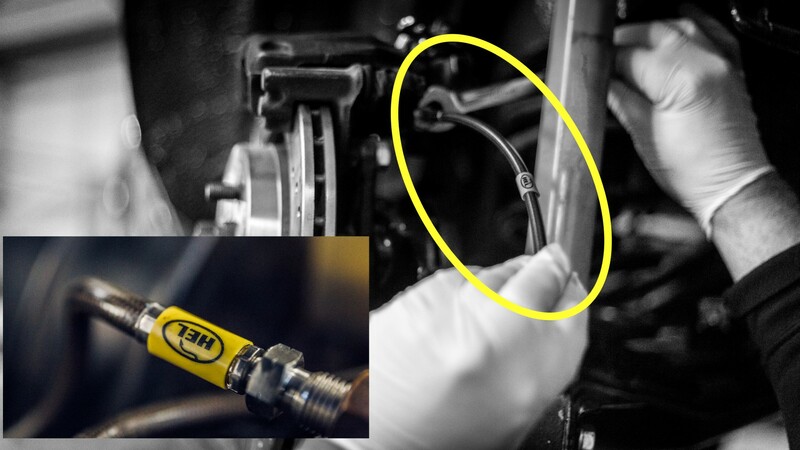 In the case of brake hoses, we are subjecting Teflon to internal pressures as high as 3000PSI. Because the Teflon is relatively flexible (which makes it ideal for the job in one regard), it will expand under these conditions. This expansion creates additional fluid volume in the hydraulic circuit which is felt by the driver as a soft or mushy pedal. Rubber over-molding does little to reduce expansion under pressure, as rubber is also a relatively flexible material. A woven braid of Stainless Steel, however, can greatly increase the rigidity of the hose under pressure while still allowing adequate flexibility for wheel end movement. In many cases, this reduced expansion can be felt by the driver as a firmer or more responsive brake pedal. In addition, the reduced compliance will result in a faster transient response of the brake system. In other words, the time from the driver hitting the brake pedal until deceleration is generated will be decreased by a small amount. The benefit will vary based on each individual application, but in general overall deceleration can be attained more quickly, resulting in slightly shorter stopping distances.